Old boilers suffer from wear and tear thus do not work as efficiently as new boilers. We install boilers with a minimum warranty for ten years. This is a guarantee because we only work with professional companies whose products are of the highest quality. We do not expect our boilers to break down, but in case they do, the manufacturer is liable for any repairs incurred within the warranty period. A well maintained boiler can last for a minimum of 10 years without any breakdowns. If your boiler is less than 10 years, then you should consider repairing instead of replacing the boiler when it breaks down. The condition of the boiler at the time of breakdown is one of the determinants of the cost of repairs. If the boiler is still in good condition and is highly efficient, then it is worth repairing, but if not, you need to have it replaced. 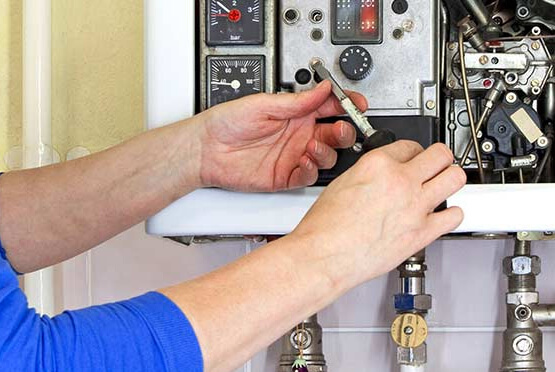 When you contact our boiler repair experts, we examine the condition of the boiler then advice you on the way forward. We handle all forms of boiler repairs in Leeds but we always advise you on the best way forward. Strange Odours – Boilers should not produce any familiar or unpleasant smells. If there is a smell, it could be a sign that the ventilation has been damaged or there is a gas leak. The two issues can lead to major issues so you should contact a professional like Eco Efficient to fix the issues as soon as possible. Our professionals will inspect the boiler to determine the exact cause of the odour. Water Leakage – Fixing leaking water in your home should be a priority as it leads to wastages. Water leaking from your boiler has more devastating effects as it causes damages to your home. If the leakage is not fixed, the boiler can end up bursting which will result to more expenses because you will have to repair the boiler. Common Irregularities – The temperature of the water in your boiler is determined by the temperature set by the thermostat. If you notice that the water is not consistently hot or cold, you need to talk to our technicians to come have a look at the boiler. If you note a strange or weird noise from the boiler, sediments at the bottom of the boiler are the most common causes of the noise. After sometime, the sediments can cause the boiler to shut down without warning if the build up is not removed. Call us now and we will fix this problem for you.